Why is Marijuana Illegal? – Should It Be Legalized? Marijuana is always a much talked about subject, and ever since the United States government had gotten interested in the possibility of legalizing it in their country the discussion on this drug has increased by a factor onto itself! Why was Marijuana illegalized in the first place? Many people think Marijuana was illegalized simply because of medical studies proving its an unhealthy drug which should be outlawed, or even the fact that its just something that most governments around the world (except for the Netherlands – go Amsterdam!) have wanted to heavily control. There is no doubt in some uses of the drug it is definitely bad for your health, primarily if you smoke it as lung damage can be seen similarly to a cigarette smoker, but usually a lot worse. 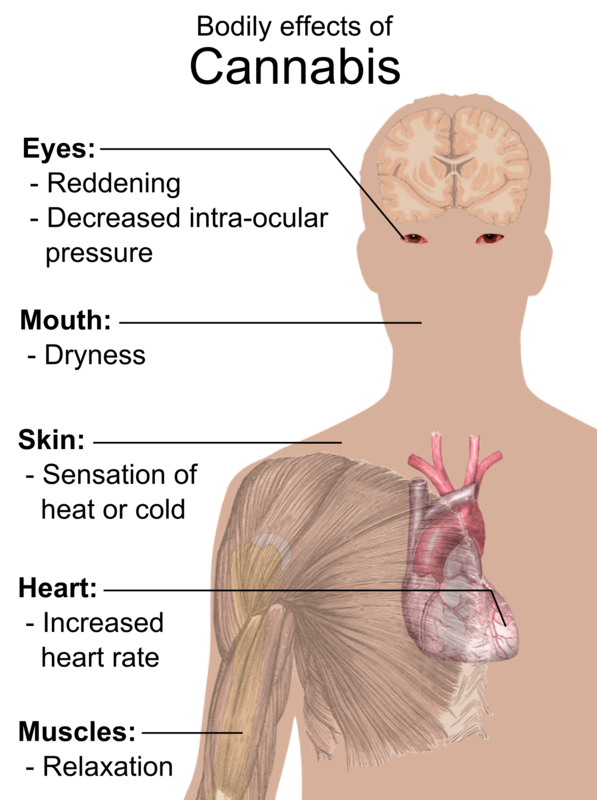 Is Marijuana a harmful drug? Perhaps, but cannabis has been proven to provide many medical benefits to patients of experiencing unexplained nausea and vomiting and some with anorexia, and weight loss. What do you think? The US are currently in debate on this one wether or not to legalize it. What would happen if it does become legal? What are the social implications of legalizing it? Would it help the world’s economy (wishful thinking), would it really be that bad? I don’t know. March 25, 2009 in Health. ← Natalie Tran: March 25, 2009 – Look! Camera! I would probably want to know more about the physiological research before deciding, but one can see some big potential benefits to legalizing. Lots of people are in prison for possession and in this economy many states, such as California just can’t afford to hold them. Also if it was legalized and taxed the way tobacco is it would be a huge source of revenue and would help reduce the deficit. The Problems occur from over use or when it is mixed with tobacco containing large amounts of toxins, Which is generally the way most western people smoke it, most natives will smoke it straight (No Tobacco). As a smoker for the past 12 years i found this to be very true, Once again problems only occur from over use, which has less to do with the drug being addictive than it is about the mental well being of the person using in the first place. Hemp can be converted into chemicals, energy, textiles, building materials, paper and many other industrial products, Hemp is the world’s strongest natural fiber. It has been used to make cloth and rope for over 10,000 years. Hemp was the first crop ever cultivated for textile production. , it uses half the amount of water a cotton field uses & produces higher amounts of oxygen than most plants/trees. Hemp can be used to make virtually anything that is currently made of cotton, timber, or petroleum. The only reason the governments won’t legalize it is because they wouldn’t be able to control production, or impose taxes. Doctors are giving 7 year olds speed(you take adderal and ritalin and tell me if you feel high), getting injured patients addicted to oxycontin(then getting them unaddicted by selling them suboxone,which is more expensive than the latter), presbribing anyone who complains of depression and anxiety brain changing anti depressants and addictive anti-anxiety medication, and they don’t know whether they would want to prescribe something a non toxic, non addictive flower of the cannibis sativa plant that has one of the longest histories of human medical use in the world? I don’t understand. Ohh i guess the biggest drug dealers, or so called doctors, in America would rather have you take wellbutrin and valium your whole life than smoke a bong toke or eat a cookie made with cannibis butter. It is ridiculious. Im not even mentioning the numerous industrial uses marijuana has, even the founding father george washington had massive marijuana plantations, and america even implented a law that required every citizen to cultivate marijuana. They don’t call marijauna “One of the most useful plants on earth” for no reason. Legalize, tax, and take our country out of the depression!!!!!! Marijuana helped build this country, it can help repair it also. I never heard of anyone every overdosing by smoking too much marijuana and more people are killed due to alcohol then marijuana every day.